Any events that challenge the survival of living organisms may be classified as stressors. These stressors could include, for example, lack of food, increased population pressure, predatory pressure, climatic events or in the case of humans, loss of a loved one, lack of financial security or uncertainty in the future. Although most physiological systems are affected by stress, those systems that regulate reproductive physiology and behaviour are the most sensitive. All multicellular organisms show a stress related effect on reproduction, although the more complex organisms, such as mammals, have the most complex effects. The objective of this book is to provide a comparative analysis of the mechanisms by which stress regulates reproduction exploring the evolution of stress perceiving systems from the simplest organisms to humans. 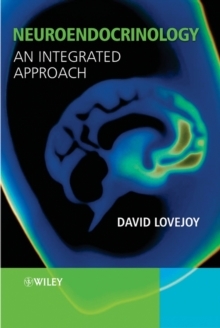 Taking an integrated approach, utilising a genes-to-environment overview, the book examines the stressors that occur at all levels of organisation. These theories are used to examine and explain human and animal reproductive behaviour and physiology under stressful conditions providing a well-written, concise introduction to this important subject.